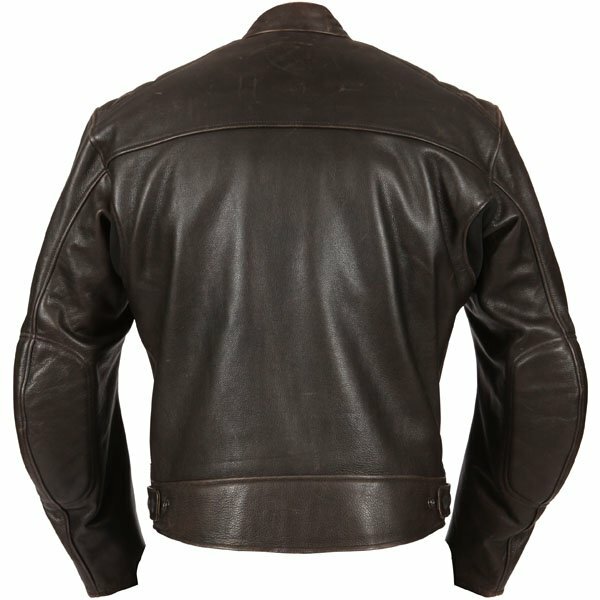 A good sturdy jacket that represents excellent value for money, ageless looks . I bought this at Milton Keynes the staff were excellent and helpful. Bought this as an all-minus-winter jacket to fit my casual look. Closer to black than brown, very well made has an insert. Wouldn't wear it in temps under 8 degrees without thermals. Biggest issue is the sizing. 48 largest they do, i coukd have done with a 50. I usually take 48 RST/WOLF/BUFFALO brands, this is a bit too snug. Taking the back protector off and the thermal insert makes it perfect. However i did stick a thinner back protector (RST) as the one that comes with it is ridiculously massive! Overall quite happy, quality and look overshadow the negatives. Planning to wear on and off my bikes. Finally, excellent hassle-free service from SPS as always, and many thanks for the bargain price match. Good jacket, looks as described but is slightly tight. I ordered one size up and still is quite tight. Looks good and is comfortable around wrists and shoulders. This jacket arrived well packed and in a short time frame. The jacket looked and felt really good quality. It is well made and the protection feels as though it will perform well. 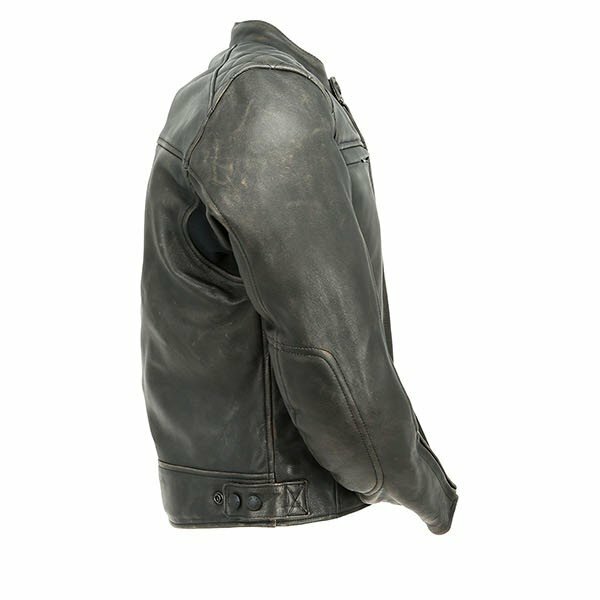 The distressed look makes the jacket appear as though you have had it years and it feels very comfortable. I went one size up and maybe two sizes would have been better as the jacket is a bit snug on my belly and wrists/forarms. I changed the back protector which is quite substantial for an old one I have which is thinner and helped with the fit of the jacket. I decided to stick with this size (44) as I expect the leather to give a little over time. Overall its a great piece off kit and ideal when riding on these hot summer days that we are having. Very good quality leather, nice and comfy. Sizing: I'm 42". Size 42 is snug fit however the jacket & sleeves are too short. Must go for 44 size giving me a bit spacy fit but good length. The back protector is a joke - huge, thick hard as a brick. Had to replace with Forcefield. That adds to the price. Some reviews says "need to go 2 sizes up" - not true. Bear in mind that the jacket will NOT accommodate your belly. I ordered 2 sizes larger (48) and although a little bit too big it fitted better then the size 46 even though I am 44. 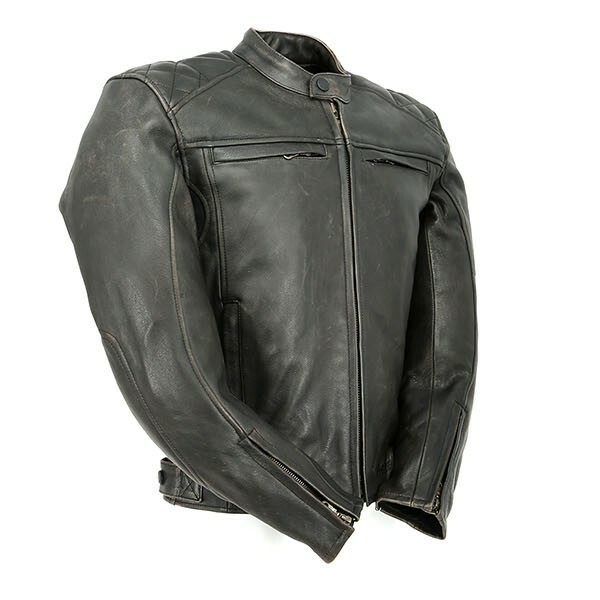 Its a great looking jacket with all the protectors and pockets plus a removable liner, the only thing I was concerned about it the leather, I could not find any information about which type of leather they used and it doesn't specify anywhere, it just says leather, it makes a lot of difference as to the performance of the jacket and as it didn't specify top grain cow or buffalo I can only assume its made up of just the underside of the skin which is fibres.. I could be wrong but on that basis I decided it wasn't for me. Sportsbikeshop on the other hand are simply perfect as usual just cannot fault them the jackets arrived the following day and returns accepted with no trouble at all, a great company to deal with. only 1 star missing due to the uncertainty of the construction. Ordered Saturday night and delivered to wrong address at 13:30 on the Monday. I located it a couple of hours later. I am delighted with both jacket and service. I ordered a 46" when I'd normally get a 42-44" chest. I took the armour out, my preference, and it fits perfectly. 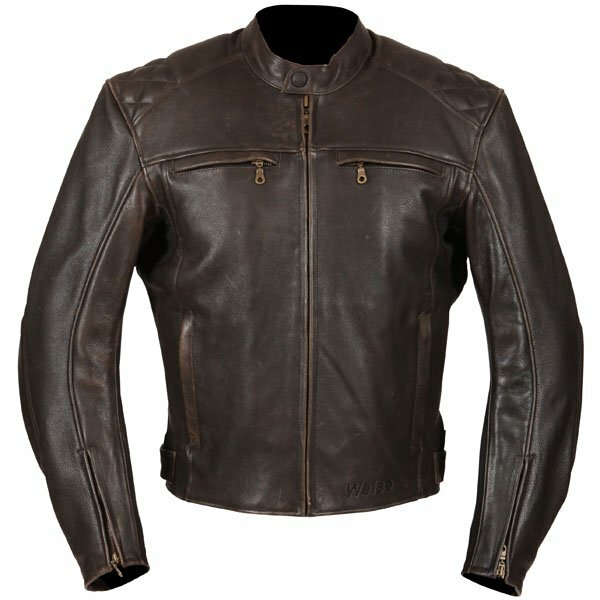 Good quality jacket at a reasonable price. Excellent quality jacket - though on the small side. Would be good if they went up from a 48"would bring in more buyers I suspect. Removed the back support to help fit. Happy (older) bunny. Hi, I've read some older reviews that the color is more like a dark grey than a chocolate brown (as pictured). Has this changed for your stock on hand? 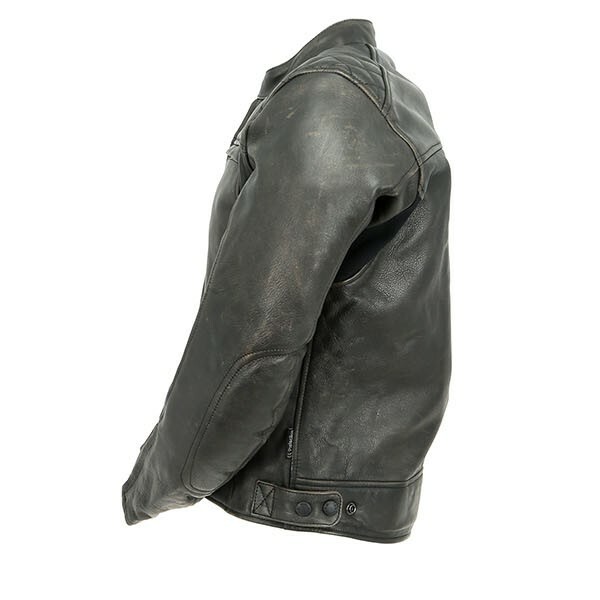 The jacket is brown and does not seem in any way grey in colour.